The liberation of Pepperland from the tyranny of the music-hating Blue Meanies, by the Beatles who defeat them with the power of music, is the plot of the movie, "The Yellow Submarine". A phantasmagoric blend of colorful animation and the music of the Beatles, not unlike the place in question. 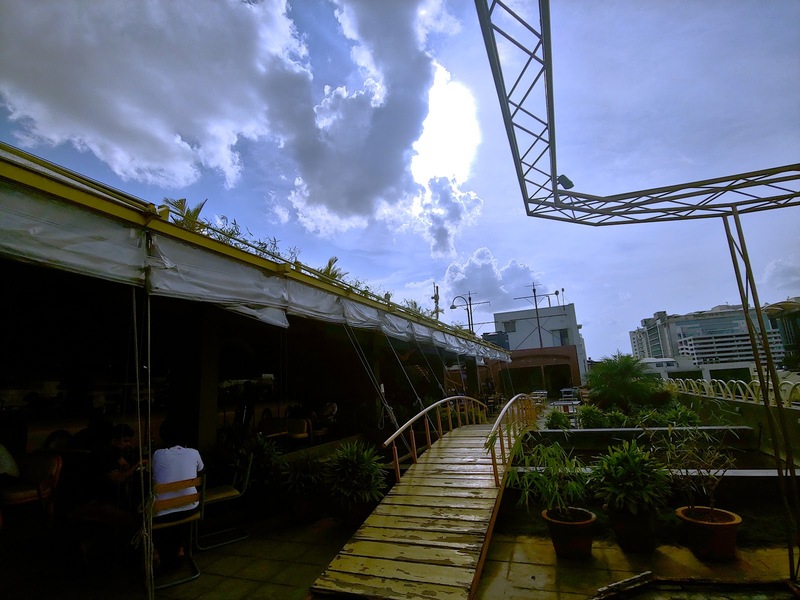 The Yellow Submarine is a rooftop microbrewery on Bannerghatta Road, which pays homage to the movie and the music of its namesake, but can it live up to the standards set by the burgeoning microbrewery scene in bangalore? Let's find out. The decor of this place is definitely as offbeat and cheerful as the film. The entrance to this place is actually like the hatch of a submarine, and as you get inside, the sheer magnificence of the color yellow is apparent everywhere. 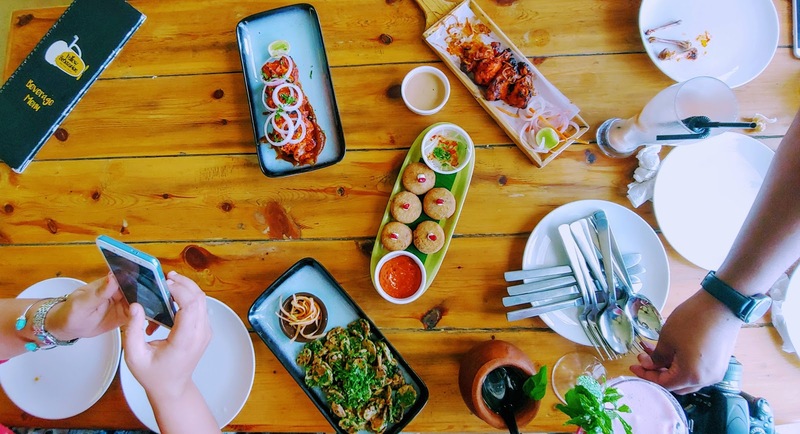 This place is huge, and seating options are aplenty including plush seats near the bar counter, to high tables overlooking the city or just a simple, round table under the starry Bangalore sky. 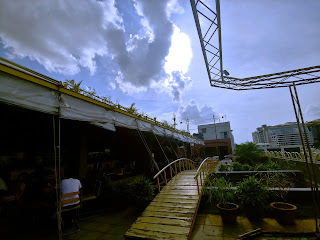 From a lovely yellow bridge over a small fish pond to a huge sub-shaped-bar counter and a lovely panoramic view of the city, full marks needs to be given for the beautiful setup of this place. This place has 5 beers on tap (Belgian Wit/ Hefeweizen / IPA/ Butter Beer/ Porter), and while I didn't get a chance to try all of them, I liked the IPA and the Belgian Wit, where the styles and flavours were on point. However, I do think that they need to up their game to remain in competition with the better microbreweries like Arbour, Windmills or Biergarten. 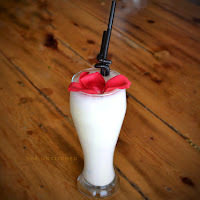 Cocktails: They have a huge list of cocktails including some innovative ones and most of the classic ones. These two are from the Signature cocktail range, and I enjoyed these enormously. Marooned: Served in a clay cup, whisky with jalapenos, cranberry juice and passion fruit syrup, and topped with a sprig of rosemary. This was a well-crafted whisky cocktail, and the sweetness of the passion fruit and the slight zing of jalapenos made this a really good combination. Pirate Song: A rum based cocktail, this had gold rum, dry figs infused with dark rum, fresh mint and was topped with some soda. 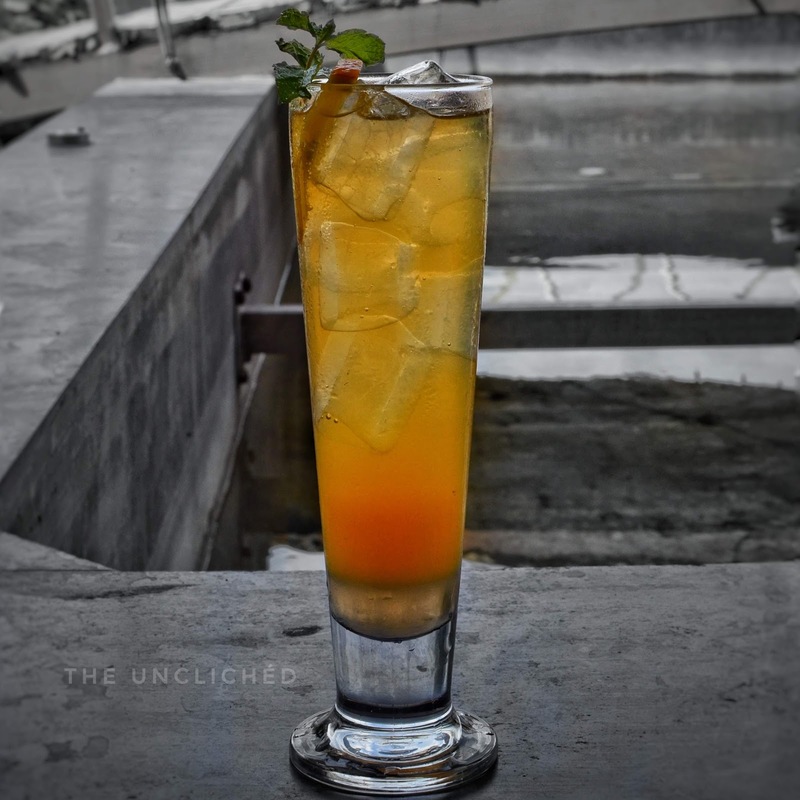 Another refreshing cocktail, perfect for Bangalore summers or sultry evenings! Across the Universe: A vodka cocktail with betel leaves, rose petals, rose water, grenadine and mint-syrup. Almost sounds like vodka-flavoured Lucknowi paan! I enjoyed this drink, because these ingredient came together beautifully, and this was a refreshing drink. The food options here are varied and extensive, and cater to a wide range of tastes. From the more traditional chicken/paneer skewers to classic pub food like beer battered onion rings to experimental dishes like Samosa Hummus, there is a little something for everyone! 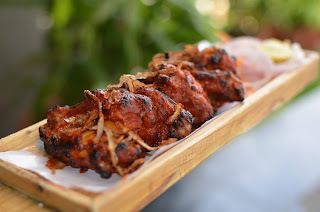 Ghost Pepper Chicken: For those who can't tolerate high spice levels, steer clear of this! This one hit the spot for me though, and the red-hot ghost peppers added zing to the well-cooked chicken pieces. 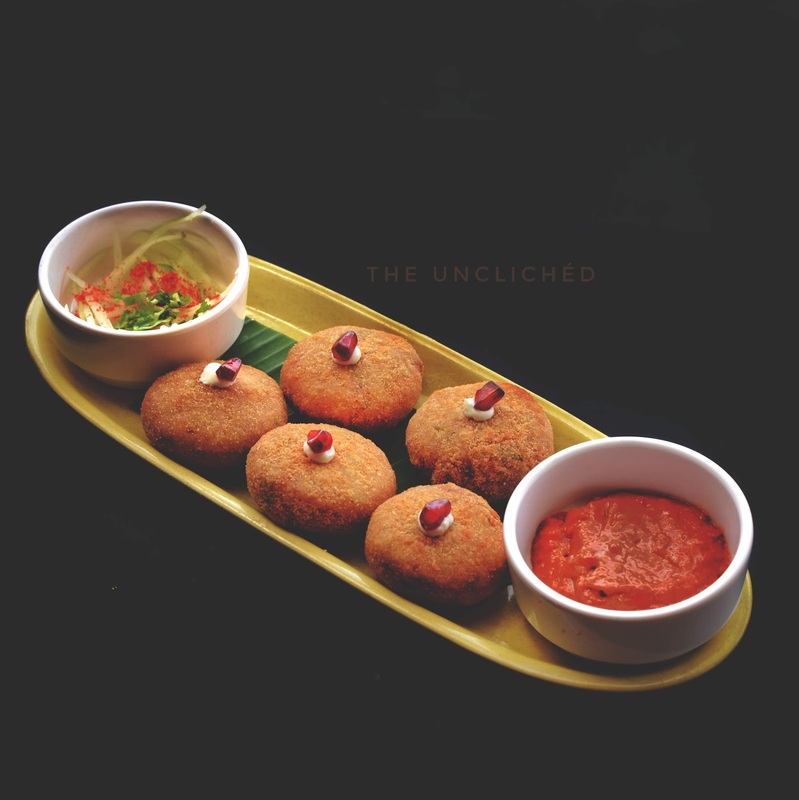 Club Style Mutton Vada: What do you get when mutton raan is served in a vada-like format with hot garlic chutney? An absolutely brilliant pub-grub! Samosa Hummus: Crisp onion-jam stuffed samosas served with beetroot hummus which also had smoked paprika and pickled onions. This was a pretty unique combo, and one that went surprisingly well-together. Highly recommended! 24 Inch Wood Fired Pizza: Few places serve a pizza of this size, and even fewer do it as well as good as The Yellow Submarine. We ordered a half-in-half, veggies and BBQ chicken. As the enormouse pizza came in 15 minutes later, despite having had a bucket load of food, we couldn't stop ourselves on gorging on this delightful pizza. The perfect crust, cheese-to-sauce ratio and even spread out toppings, this wood-fired pizza was just about as perfect as it gets. A must order if you are in a larger group. 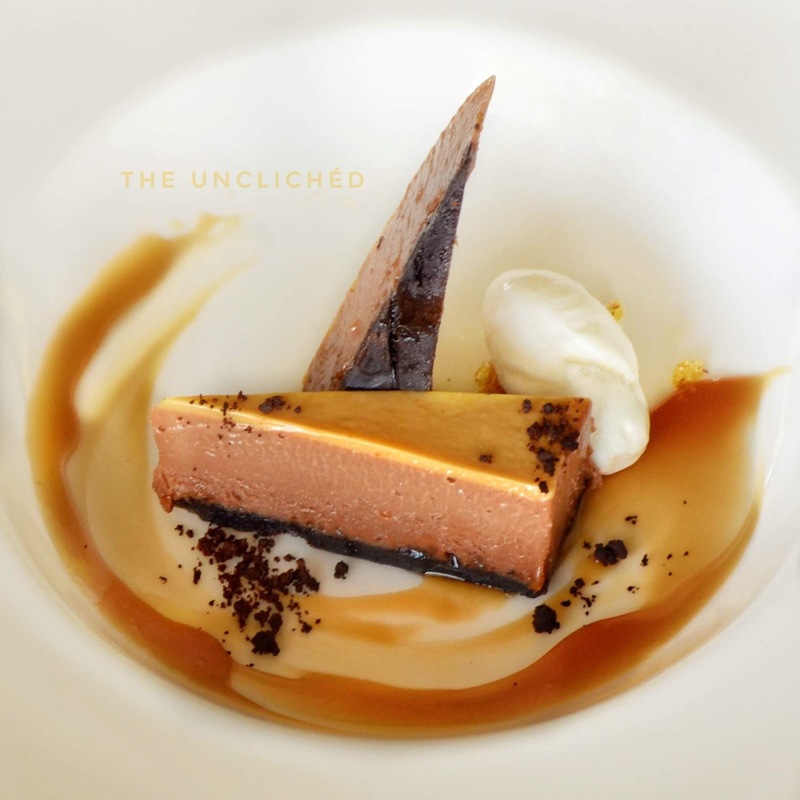 House Made Snicker Chocolate: This beautifully plated dessert had salted caramel, a flourless sponge, choco-almond praline and white-chocolate mousse. It tasted as brilliant as it looked. Verdict: While this place scores high in novelty points, the excellent and reasonably priced food is definitely a crowd-puller, I just wish they improve some of their brews. Highly recommended for its great food and brilliant ambience! P.S. It is also a pet friendly place, which few breweries in Bangalore are.